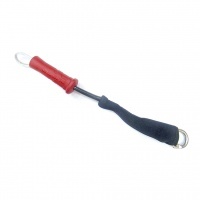 Kitesurfing Accessories, from depower bars and line sets to kite bridle and bladders. we have a selection of accessories for the water kiter including kitesurf board bags. You don't need a super long handlepass leash for general riding. 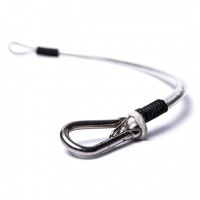 The Dakine Shorty Leash is ideal for everyday riders that don't unhook and want simplicity. 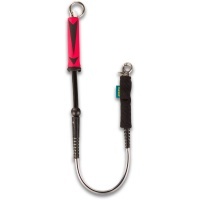 The Mystic Handlepass Harness System connects across the rear of the harness into the two metal D loops so the leash can side from side to side easily. 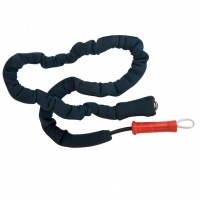 Many like the new shorter leash designs Mystic now have the Short Neoprene Kite Leash. Rope loop connection with quick release and the neoprene covered clip. For those that don't like unhooking and hate the long leashes then the Mystic Short Neoprene Kite Leash is discrete but effective and does not sacrifice on safety! 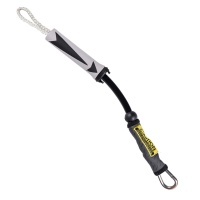 The Ozone Handlpass V2 leash is a simple and easy to use safety leash for kitesurfing and depower kites. Simple and strong clips and a foolproof release make it perfect for all users. The new short kitesurfing safety leash from Ozone which works on all models of kite & harness. Designed for extra safety for riders who don't want to unhook. 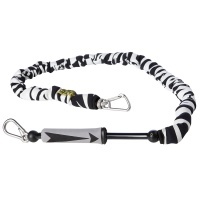 The Mystic Neoprene Handlepass Leash in Black and White or Zebra is a high spec longer leash for those unhooked moves when you need more leash length.